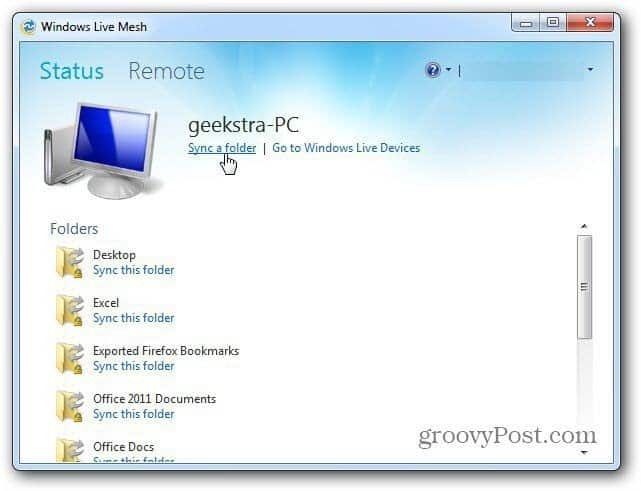 The most powerful free program included into Windows Live Essentials 2011 is Windows Live Mesh. This lets you easily sync your documents, photos, videos, music and other files with up to 30 computers – including Macs. Note: You’ll need to install Live Mesh on each computer you want to sync your data with. 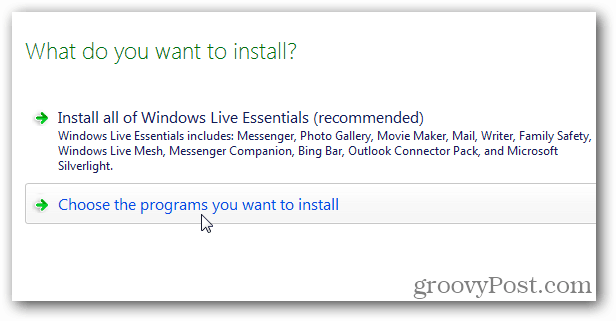 First download the Windows Live Installer and start the install process. The first screen you’ll see gives you two options. To install everything or choose the ones from the Live suite you want. I recommend selecting the second option. This way you won’t end up with programs you might not want. 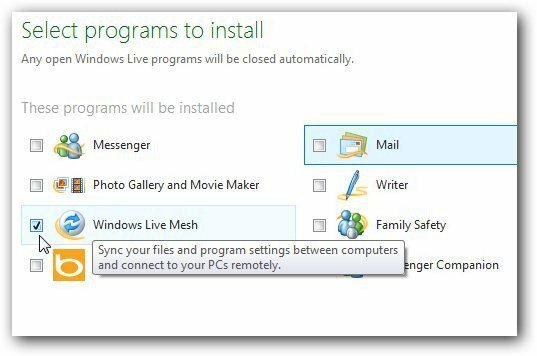 Next select Windows Live Mesh and any other programs you want to install. Click OK.
Now wait while Live Mesh is installed. When it’s done, you’ll find it located in Start >> All Programs >> Windows Live >> Windows Live Mesh. Go ahead and launch it. Next sign in with your Windows Live ID. Now set up Live Mesh to sync files and folders between computers and SkyDrive. Here you can see I already have some computers set up with Live Mesh. 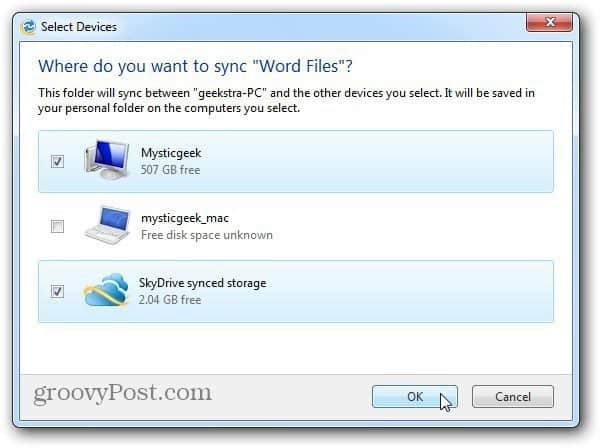 To sync a folder with other machines, click Sync a Folder. 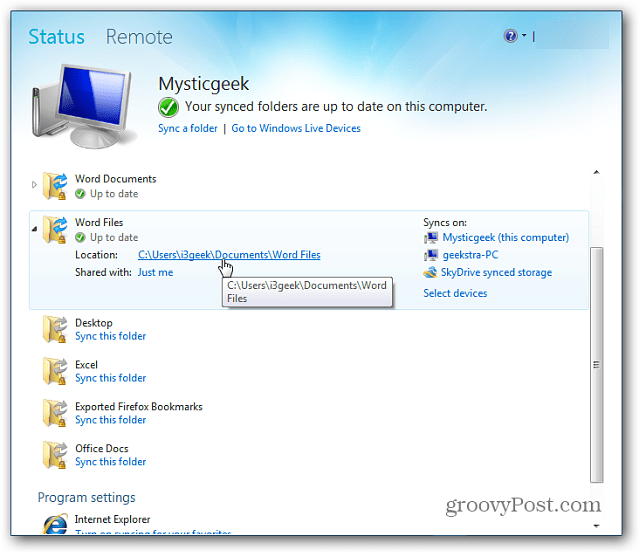 Browse to the location of the folder you want to sync with other systems. 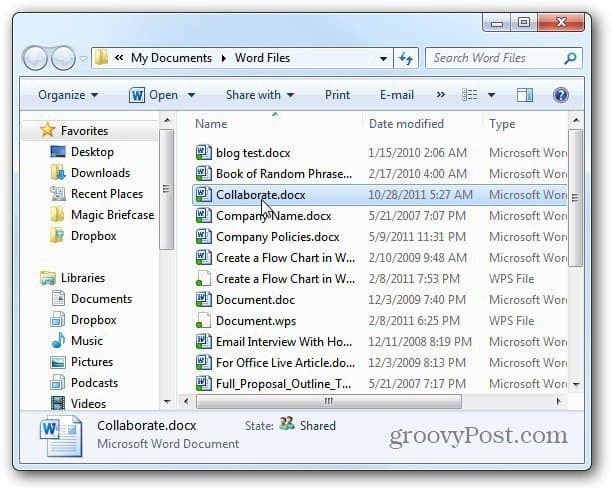 For this demonstration, I’m syncing a single folder of MS Word documents. Click Sync. You’ll see a list of each computer(s) you have Live Mesh running on – also your SkyDrive. Select the system(s) you want to sync the folder with. Here I’m selecting another Windows 7 computer and my SkyDrive. Click OK.
Data will be synced with the computer and SkyDrive. Launch Live Mesh on the computer you shared the folder with. 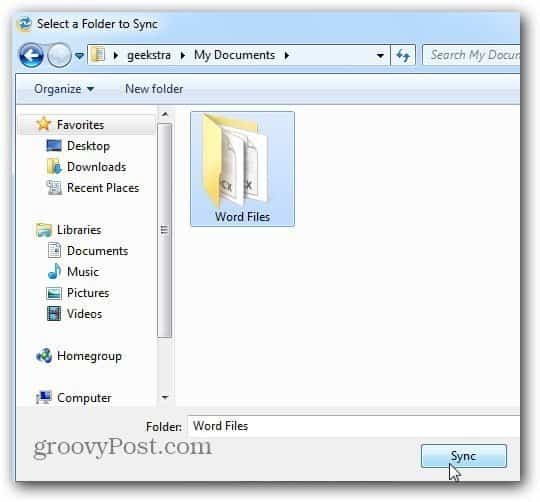 Open the folder to find the link to the location of the synced files. Now you have access to the files you synced from the other machine. 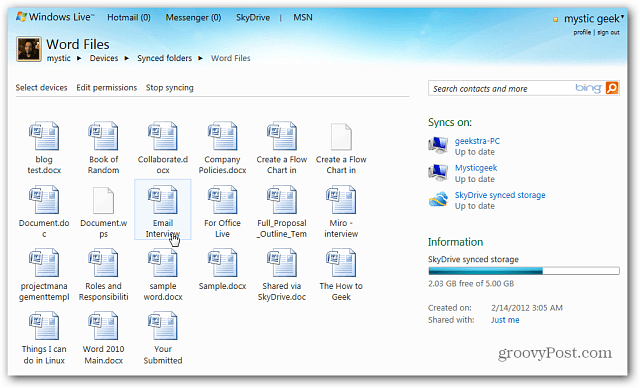 Since I also synced the folder with SkyDrive, I can log into it to access the files from my browser. 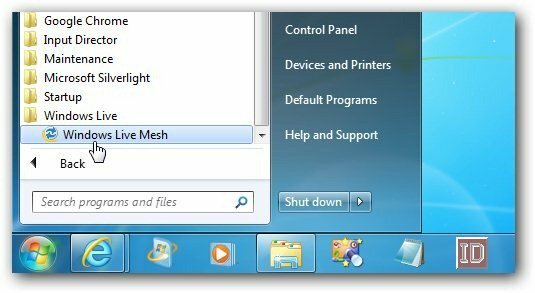 This is a quick look at setting up Windows Live Mesh 2011 and getting started. In future articles, I’ll show you how to use it with a Mac, Windows Home Server 2011, managing your systems and a lot more. Windows Live Mesh 2011 is powerful free syncing software. There is a lot it can do so make sure to check out my future articles. Just did it, except I didn’t nice GUI you have with folders displayed, mine looks V.Apple connection Status Remote and says “Up to date” Why? It will say up to date when all of your files have successfully synced with your other machines and SkyDrive. 1) You can control where LiveMesh syncs by NOT selecting any locations in the “Select Devices” panel on the source machine–just click OK, go to the target machine, clink on the “Does not sync” link, and map the desired destination folder there. 2) Unfortunately, there is at least one serious bug in LiveMesh that causes looping in the replication process, which in turn degrades system performance while it fills the recycle bin with gigabytes of duplicated files. What do u mean by “other computers” I thought mine would create folders in SkyDrive and Upload, where did my folders/files land ? I will immediately grasp your rss feed as I can not to find your email subscription link or e-newsletter service. Do you have any? Please let me realize in order that I may subscribe. Thanks.